RAWIllumination.net: Time to vary your reading diet? K. Tempest Bradford, asking you not to read a book I really enjoyed. Is it time to put a little voluntary "affirmative action" into your reading habits? If readers took up the challenge, the result would be more attention for writers who typically get less attention, Bradford points out. Bradford says there are other ways you could challenge yourself to read neglected authors. You could read only books by women, or only books by people of color. "Or you could choose a different axis to focus on: books by trans men and women, books by people from outside the U.S. or in translation, books by people with disabilities," she writes. I particularly like the idea of focusing on books by people outside of the U.S.; that would likely be a rich reading experience. Reading only trans authors strikes me as limiting. The only trans author I could think of I've been meaning to try is Deidre McCloskey. Bradford writes that she adopted her advice and tried to read only stories by women, people of color, gay people and transgendered people, she found that it was less likely she would "rage-quit" the science fiction magazine she was attempting to consume. Her advice reminded me a bit of the advice once offered by Robert Anton Wilson. He told an interviewer, "I also read at least one periodical every month by a political group I dislike -- to keep some sense of balance. The overwhelming stupidity of political movements is caused by the fact that political types never read anything but their own gang's agit-prop." In other words, it reduces your chance of being a cosmic schmuck. I can't help noting that in one respect, Bradford's advice turns Wilson's on its head. Whereas Wilson wants you to read outside of your comfort zone, Bradford wants you to go outside of YOUR comfort zone into HER bubble. She's challenging herself less these days while demanding that everyone else challenge themselves more. In any event, the point that writers that are privileged by the system tend to be neglected is (probably) a good one. I'm not going to take her advice. Two of my favorite writers, John Higgs and Neal Stephenson, are about to come out with new books. I'm not going to shun them just because the authors are white males. 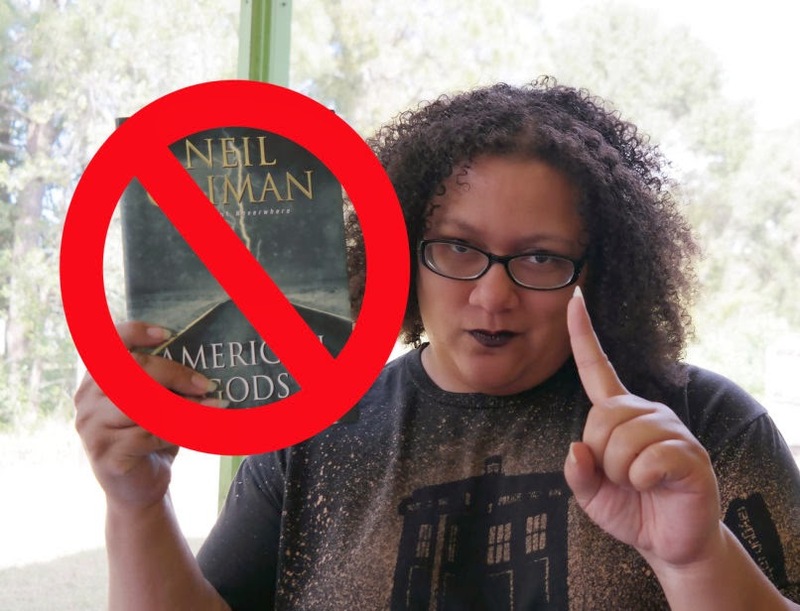 But I will try this: For a few months at least, maybe for a year, for every book I read by a white male Anglo-Saxon (i.e., British or American), I will read a book by someone who isn't in that category. (This is similar to a suggestion John Scalzi made, but I'm not stealing Scalzi's idea -- I came up with a similar idea in a blog comment before I read Scalzi's article.) Will see how that goes. One other point: In her article, Bradford lists 18 books that she recommends by women writers, writers of color and books in translation. The four books I've read that are on her list, by Samuel Delany, Gabriel Garcia Marquez, Cixin Liu and Umberto Eco, are all quite good, so I'm inclined to try some of her suggestions. Addendum: Her credo for reviewing stories seems relevant here: "I’ll also say this plainly: A reviewer who makes the choice to focus exclusively on marginalized voices is making a good choice. There are plenty of places for the privileged to get and gain attention. Making a space for everyone else is not bias, it’s a step towards balance." UPDATE: Bradford has posted a "clarification," responding to me and others. Bradford's program seems for the most part sound to me, based on subjective effects I've noticed in myself after reading non-white (cis: I only learned what that word meant a month ago, so you're not alone, Tom) males. I also notice similar effects when I listen to Joni Mitchell (who I have been in love with since I was a kid and "You Turn Me On [I'm A Radio]").. or Billie Holiday. Hume was the originator of the idea that we sensitize ourselves to the suffering and worldviews of others different from ourselves via literature, and NOT by reading philosophy or gawd help us: going to church. At the same time, I've increasingly seen Identity Politics as a bigger problem than it was worth. In this sense, I'd propose an alternative challenge from Bradford's: read only radical authors who argue for a much more equitable political economy, the author's "race" or gender as virtually irrelevant. Now's the time for Oscar Wao? Last year I read a book I really enjoyed by Alison Bechtel, _Fun Home: A Family Tragicomic_. She's a white lesbian. It's a graphic novel. Presumably Bradford would approve. I love Mary Oliver's poetry: white female lesbian, but she keeps that on the down-low. On another level, I read the blogger Tom Jackson for years and realize he's gotten the message. I don't see you as "needing" Bradford's challenge (although your proposed modified exercise of Bradford's challenge would seem worthwhile and well-negotiated). Your points about Higgs and Stephenson's forthcoming releases is, to me, the kicker, for as RAW told us, "Like what you like, enjoy what you enjoy, and don't take crap from anybody." We all know someone who would benefit from taking on Bradford's challenge. But it's like the classic problem of psychotherapy: who shows up asking for help? Often, the already very sensitive and neurotic. I'm sure many authors in the group Ms Bradford recommends might be worth treading at least once. I'm also sure that I will never read an author because it would be politically correct to do so. I read foreign and female authors all the time because what I know of them suggests I'd enjoy them, not because it will advance some cause. I've just finished reading a book by the late Scots author Muriel Spark, and next on my list is the newest by the Japanese-British writer Kazuo Ishiguro. I don't know if Ms Spark was gay or whether Ishiguro is a trans and don't see why I should care. The late Doris Lessing once wrote: "With a library you are free, not confined by temporary political climates. It is the most democratic of institutions because no one - but no one at all - can tell you what to read and when and how." I'm sure many authors in the group Ms Bradford recommends might be worth reading at least once. I'm also sure that I will never read an author because it would be politically correct to do so. I read foreign and female authors all the time because what I know of them suggests I'd enjoy them, not because it will advance some cause. Supposedly there's an interview RAW did with Doris Lessing for, IIRC, a Brit mag called New Age. I haven't see it. I think RAW went to her house and interviewed her. And you just know the subject of Sirius came up. RAW also did an interview with Colin Wilson for, IIRC, the same magazine. This was when RAW's primary residence was Dublin. I'll say it even though most of you have thought it: there seem plenty of non hetero non-white, non-Anglos Saxon, non-MALE writers who lack the edifying discourse we want. Presumably Bradford would assent to this. If not, she's full of it. For my own part, I will assert that it's my experience that there are plenty of hetero white male writers who make me think, "How did this guy get published? He's actually making money from this crap?" Oh yea: in addition to McCloskey, check out Ha-Joon Chang for economics. I have indeed read Lady Susan. There is not much Jane Austen I have not read. fyreflye, Like you, I read many women authors. It should be a matter of only tipping the balance a little bit. I agree that the freedom to read what you want is important. When I graduated from college, I remember the feeling of vast relief I felt that I could read what I wanted to read, as opposed to what I was assigned to read. The problem I have with this sort of thing is that the categories seem rather arbitrary to me. I don't identify myself as a white male het because I don't find those to be the most interesting or accurate ways to see me. I also don't find those categories to be the most interesting ways of choosing the music I am going to listen to or the movies I am going to watch. So today I listened to Tandyn Almer, yesterday I listen to Leadbelly, and the day before I listened to Ani Difranco. And all I've been reading lately is the goddamned Illuminatus trilogy and the commentary made thereupon by the contributors to this website. Are we all white het males? Tom, I visited the site of KTB's post, and now more than ever I am extremely grateful for the quality of the commentary on Rawillumination.